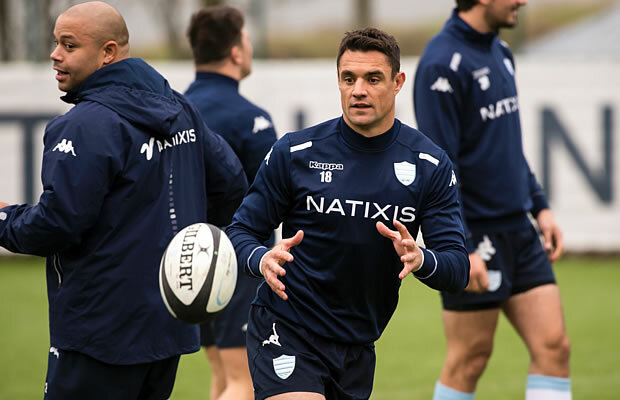 Former All Black star Dan Carter has started training with his new Top14 Rugby club Racing 92 team mates and looked relaxed at his first training session. Carter’s first training session came just four days after he flew in from New Zealand and having played his last match for the All Blacks in the world cup final. In his international career Carter won 112 caps for the All Blacks and was a core part of New Zealand’s Rugby World Cup triumph. In overcast, damp conditions in front of an assembled group of 40 or so onlookers, fans and journalists included, the 33-year-old Carter took part in a gentle 20-minute warm-up. Carter was seen to share a joke with former All Black Chris Masoe before aligning with ex-Crusaders teammate Casey Laulala for a passing drill called by coaches Laurent Labit and Laurent Travers. Carter, world player of the year in 2015 and world record points holder (1,598), arrived in the French capital on Friday on a three-year contract. But having held a press conference immediately and been presented to the public before the 28-13 Top 14 victory over Toulouse, Carter will unlikely be named in the squad for Friday’s match away to Pau. More likely will be a debut run-out against Northampton at home in the European Cup on December 12. 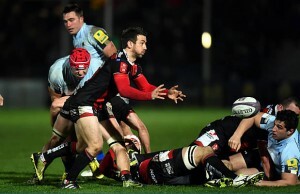 Carter is not new to the Top 14, however, after a brief stint with Perpignan in 2009, when his team won the league but in which he played only five matches due to a ruptured achilles tendon. 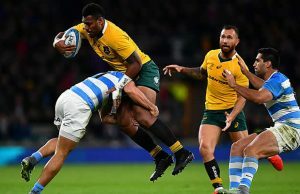 But after a glory-laden 13 years playing in New Zealand, winning two World Cups, the Super Rugby title four times with Crusaders and nine editions of the Tri-Nations or Rugby Championship, Carter remains as hungry as ever. “After playing for the Crusaders and the All Blacks, which were two very successful teams, I wanted to play for a team that had a strong vision of winning,” Carter said on Friday. Several other former All Blacks will be making their bow in French rugby this season, not least the man who spent the last decade playing on his outside shoulder — Ma’a Nonu. The inside centre will line up for European champions Toulon this year with outside centre Conrad Smith also in France with Pau.